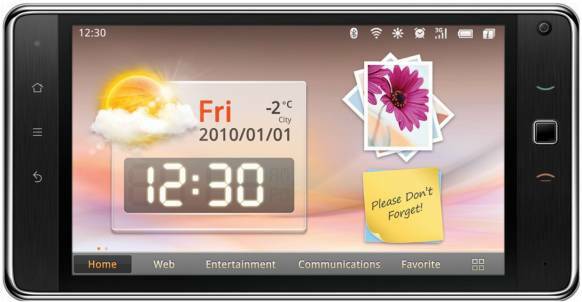 Beetel MagiQ BMQ-01 features a 7 inch TFT Capacitive touchscreen display powered by 1 GHz Qualcomm Snapdragon Processor runs on Android 2.2 Froyo OS. 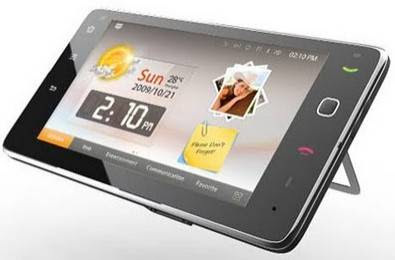 MagiQ BMQ is equipped with a 2MP dual rear camera capable of HD video recording also has a front dual 2MP camera. 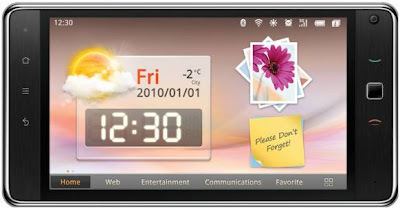 Network connectivity of Beetel MagiQ BMQ-01 Features 3G HSDPA, Wi-Fi 802.11 b/g, Bluetooth v2.0, GPRS, EDGE. It comes with an in-bulit 8GB storage which can be expandable upto 16GB. The various ports provides in this units are micro SD slot, USB v2.0, 3.5mm headphone jack. The BMQ-01 comes with a Li-ion 2200mAh Standard battery and has price tag of 9,999 INR, available all over India. Tags:Beetel MagiQ BMQ-01, Beetel MagiQ BMQ-01 features, Beetel MagiQ BMQ-01 specifications, Beetel MagiQ BMQ-01 review, Beetel MagiQ BMQ-01 details, Beetel MagiQ BMQ-01 availability, Beetel MagiQ BMQ-01 specs, Beetel MagiQ BMQ-01 images, Beetel MagiQ BMQ-01 pics, Beetel MagiQ BMQ-01 pictures, Android 2.2 Froyo OS, Beetel MagiQ BMQ-01 Network options, Beetel MagiQ BMQ-01 Connectivity options, Beetel MagiQ BMQ-01 multimedia features, Beetel MagiQ BMQ-01 price, Beetel MagiQ BMQ-01 tablet.